2. A Black Robin named Old Blue has become the mother of her entire species when she was the last fertile female in a group of 5 Robins. There are now 250 Black Robins on the Chatham Islands and have raised their status from Critically Endangered to Endangered. 3. 28 fossils of the largest extinct species of the snake were discovered in a coal mine of Columbia. The "Titanoboa" lived about 65 million years ago. The species clocked out at about 48 feet long and weighed roughly 2,500 lb. 4. A gannet named Nigel was dubbed "the loneliest bird in the world" due to the absence of any other birds of his species on his island. Conservationists built fake concrete birds to attract more birds but Nigel ended up falling in love with one the decoys. 5. During the construction of the Metro Red Line subway in Los Angeles, 2,000 fossils were discovered, some as old as 16.5 million years old. These included 39 species of extinct marine fish that had never before been discovered. There is a very rare and special type of gemstone that can only be found and formed in fossils of extinct species of cephalopods over the process of hundreds of millions of years. 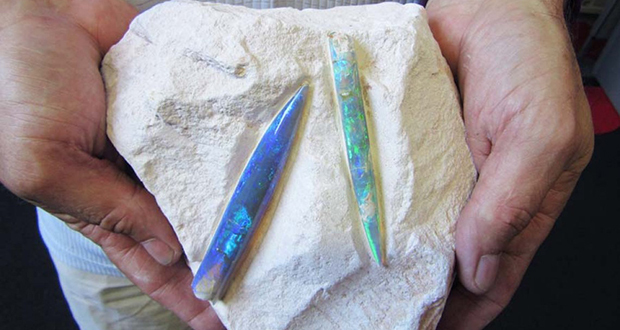 The most expensive opal in the world is an opalized fossil valued at over $1,000,000. 7. A species of cavefish named Cryptotora thamicola in Thailand has been documented walking and climbing waterfalls in a manner similar to four-footed creatures such as salamanders, in a find researchers call “huge” in evolutionary terms. 8. A species of Australian lizard (Yellow bellied three toed skink) is abandoning egg-laying in favor of live birth. 9. 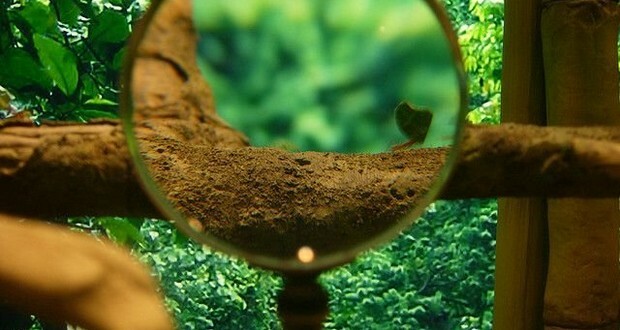 A rare African plant signals diamonds beneath the soil. The plant, Pandanus candelabrum, only grows in diamond-rich kimberlite soil. 10. UK scientists discovered 3 new species of mushroom after buying dried porcini mushrooms from a local grocery store and testing them. 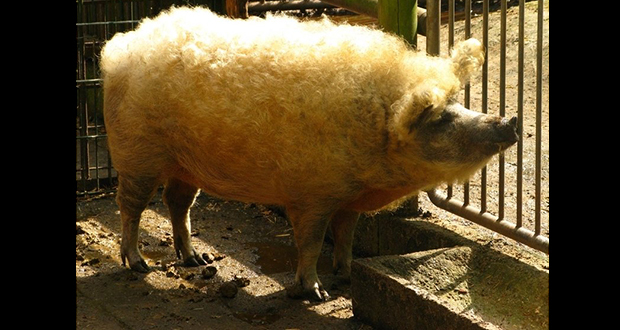 There is a species of pig called "Mangalitsa" which has wool on it which resembles that of a sheep. 12. In 2014, a new species of the vine (Boquila trifoliolata) was discovered in Chile that can mimic the leaves of many different host trees. It can change the size, shape, color, orientation, and even the vein patterns of its leaves to match the surrounding foliage. It is the only known plant that can do this. 13. There is an octopus species (Graneledone boreopacifica) that cares for her eggs for 53 months, apparently not eating during this time, then dies. This brooding period is the longest known for any animal. 14. Deep in the Amazon rainforest, there exists a rare breed of dog that has two noses. When Colonel Percy Fawcett described it after returning from a 1913 expedition to the area, he was teased and ridiculed by his peers. 15. There is a species of ant named Solenopsis daguerrei that will infiltrate a fire ant colony, kill the queen, then take her place. The workers raises the impostor's children, which then fly off to infest more colonies. They are being considered as a biological method to control the spread of fire ants. 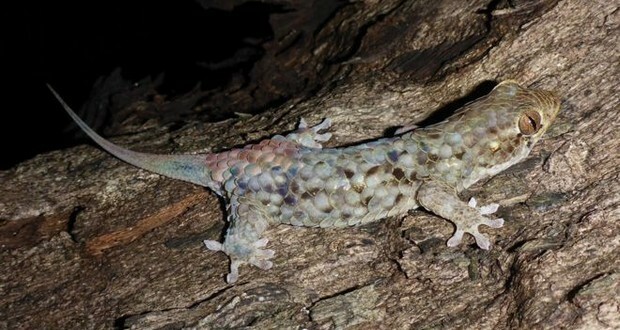 A newly discovered species of gecko named Geckolepis megalepis has tearaway skin that leaves predators with nothing but a mouthful of scales when attacked. 17. There is a species of the fungus named Chorioactis geaster that only exists in Texas and rural Japan and is thought to have been in both places for 19 million years. 18. Welwitschia mirabilis is a rare plant endemic to Namibia and Angola. It is well-protected in Angola due to a high concentration of landmines that keeps collectors and poachers away. 19. There is a species of bacteria (Deinococcus radiodurans) so resistant to radiation that scientists have nicknamed it "Conan the Bacterium." 20. A previously unknown species of beaked whale was discovered in the northern Pacific in 2013. It is black, 24 feet long, and they have only been seen from the dead carcasses that have washed up on the beaches. 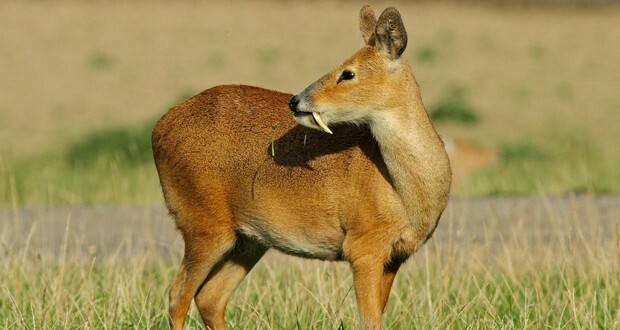 There is a species of deer named Chinese water deer which has fangs instead of antlers. 22. There is a species of lizard (New Mexico whiptail) that is 100% female. They are nicknamed as the "Lesbian Lizards", they still participate in mating rituals in which they mount each other. This stimulates egg production without any gene transfer. 23. There is a species of bird named Honeyguide which guides humans to beehives, so they can feast on the bee larvae after the human takes the honey. 24. Aye-ayes can be found only on the island of Madagascar. These rare animals are related to chimpanzees, apes, and humans. 25. The Indian Pipe plant (Monotropa uniflora) is one of the rare plants which doesn't contain chlorophyll and thus doesn't photosynthesize, getting all its energy from fungi.